Caves House Hotel is a quaint art deco style hotel at Yallingup in the Margaret River region. Rest your well-travelled heads in this iconic South West hotel. Enjoy the scenic 4.5 hectare heritage listed gardens with ocean glimpses. Mingle with the locals over a drink or two in the bustling Long Bar and beer garden. Yallingup Caves House Hotel is full of character and vibrant pub activity. 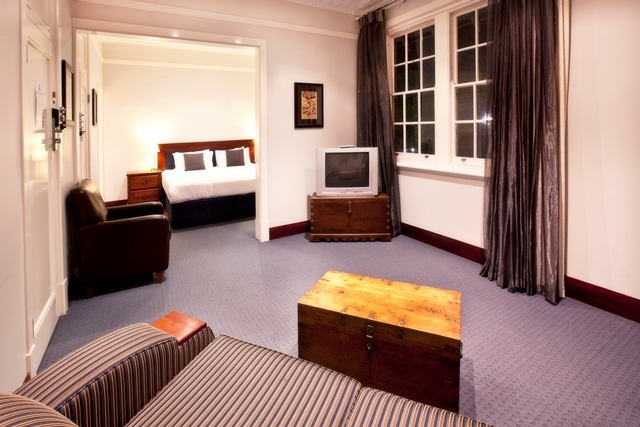 Stay in one of the art deco style suites and enjoy views of the heritage listed gardens. This charming estate is in a great location between the beach and Perth’s stunning rural landscape. Dine with the locals to experience the true nature of Yallingup Caves House Hotel. The Sunday sessions are renowned and the food at the “old jewel of the south” offers some great bistro options. An advantage of Yallingup Caves House Hotel is it’s prime location, where you’re so close to many of landmarks that Yallingup and the Margaret River are famous for. Explore the Ngil Caves, wineries and beaches that offer diving, fishing, whale watching and surfing. Ask Yallingup Caves Hotel’s welcoming staff for further information on any of these activities. Caves House Hotel is a scenic 3 hour drive from Perth, adjacent to Yallingup Beach in the heart of the State’s South West region. 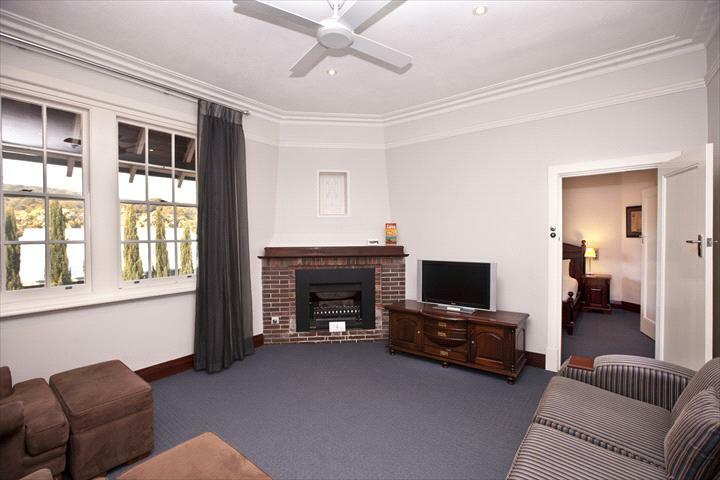 Just 30km North of Margaret River, and a short distance from Dunsborough. 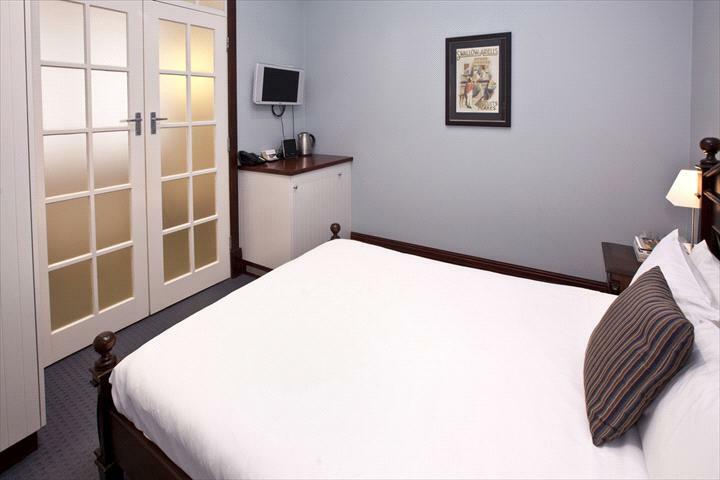 Deluxe Room includes king bed (or 2 x singles), lounge room, en suite spa marble bathroom includes continental breakfast for 2. 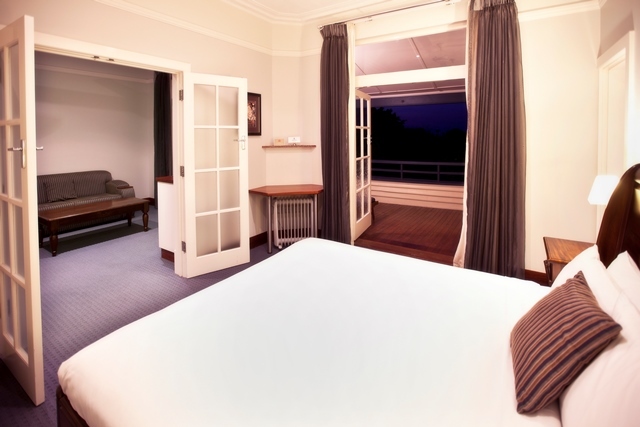 The Deluxe Spa Rooms have a marble ensuite with an indulgent double spa bath, 2 come with balconies overlooking the heritage gardens and queen beds while the other 2 have lounge rooom areas and king beds . Includes continetal breakfast for 2 Sleeps 1-2 people. A cosy one bedroom hotel room with ensuite, tea and coffee making facilities with either a Queen / king bed. Single beds upon request. Includes continental breakfast for 2. 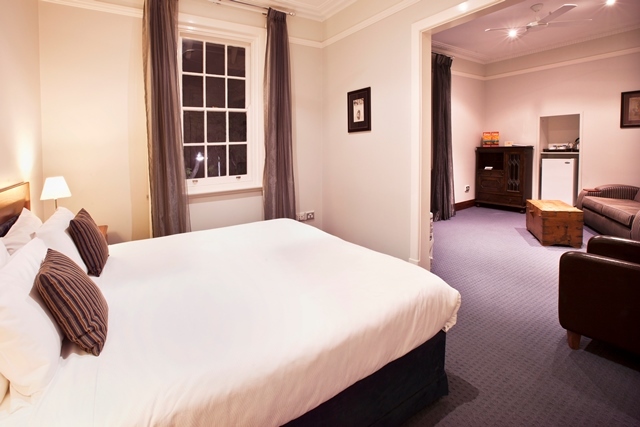 Includes king or queen bed, en suite bathroom and includes continental breakfast for 2. This spacious room features a king size bed, large lounge room with cozy gas fireplace, large private balcony overlooking the gardens, marble bathroom with spa, tea and coffee facilities and ceiling fan. Includes continental breakfast for 2. This spacious room features a king size bed, large lounge room with gas fireplace, large private balcony overlooking the gardens, marble bathroom with spa, tea and coffee facilities, ceiling fans and Free Wifi. Includes continental breakfast for 2. Featuring a marble ensuite with double spa bath, separate spacious lounge area, king size bed, and some with balconies and garden/ocean views. Includes continental breakfast for 2. Sleeps 1 to 2. Includes king bed, lounge room, and marble en suite spa room. Please enquire with venue direct as to availability of balcony or fireplace room. Includes continental breakfast for 2. 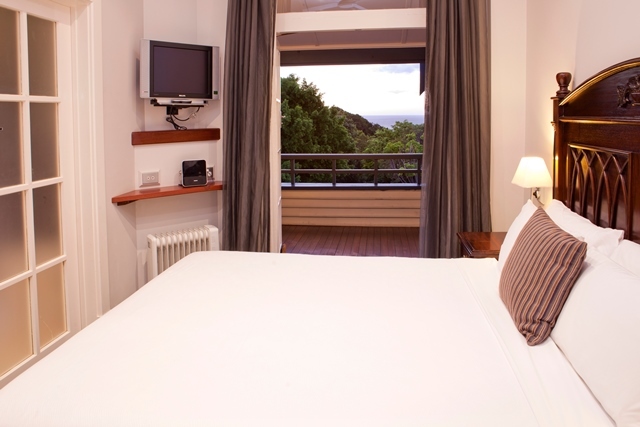 Located adjacent to Caves House Hotel, these apartments are fully self contained with kitchen and laundry facilities, comfortable lounge and dining areas, garden views and a king sized bed. Rates include breakfast for 2 each morning.